Keyword break is not syntactical part of if-else statement. So we cannot use break keyword in if-else statement. This keyword can be use in case of loop or switch case statement. Hence when you will compile above code compiler will show an error message: Misplaced break. It is if statement without any else. It is ok.
(0.001 – 0.1f) is not zero so it represents true. So only if clause will execute and it will print: David Beckham on console. In case of if – if else – if else … Statement if first if clause is true the compiler will never check rest of the if else clause and so on. It illegal to find size of void data type using sizeof operator. Because size of void data type is meaning less. Precedence of both operators is same. Hence associate will decide which operator will execute first. Since Associate is left to right. So / operator will execute then * operator will execute. Since in else clause there is not any opening and closing curly bracket. So compiler will treat only one statement as a else part. Hence last statement i.e. In c language zero represents false. So if(0) is false so next statement which inside the body of first if statement will not execute. “ABC”: It is string constant and it will always return a non-zero memory address. 0.92L: It is long double constant. As we know in c language zero represents false and any non-zero number represents true. In this program condition of first, second, third and fifth if statements are true. oxA: It is hexadecimal integer constant. 052: It octal integer constant. ‘\xeb’: It is hexadecimal character constant. ‘\012’: It is octal character constant. As we know in c zero represents false and any non-zero number represents true. All of the above constants return a non-zero value. So all if conditions in the above program are true. In c it is possible to write else clause without any body. Return type of printf function is int. This function return a integral value which is equal to number of charcters printf function will print on console. Since -9 is non-zero number so if(-9) is true condition hence if clause will execute which contains an infinite loop but due to break keyword it will come out of loop. || operator returns 0 if and only if both expressions return a zero otherwise it || operator returns 1. To optimize the execution time there is rule, Expression2 will only evaluate if and only if Expression1 return zero. In this program initial value of a is 5. So ++a will be 6. Since ++a is returning a non-zero so ++b will not execute and if condition will be true and if clause will be executed. ‘\0’ is null character constant. Its ASCII value is zero. if(0) means false so program control will check it else if clause. NULL is macro constant which has been defined in stdio.h which also returns zero. From table it is clear first ++ operator will perform the operation then < operator. Initial value of variable a is 5. Step 1: Increment the value of variable a in whole expression. Final value of a is 6. Since condition is false .So second expression i.e. b<++b will be evaluated. Again 11 < 11 is false. So || will operator will return zero and else clause will execute. && operator returns 1 if and only if both expressions return a non-zero value other wise it && operator returns 0. To optimize the execution time there is rule, Expression2 will only evaluate if and only if Expression1 return a non-zero value. In this program initial value of x is 1. So –x will be zero. Since -–x is returning zero so -–y will not execute and if condition will be false. Hence else part will be executed. Since 256 is positive number move from zero in clock wise direction. You will get final value of c is zero. It is true since value of c is zero. while(!c) i.e. while(1) is always true. 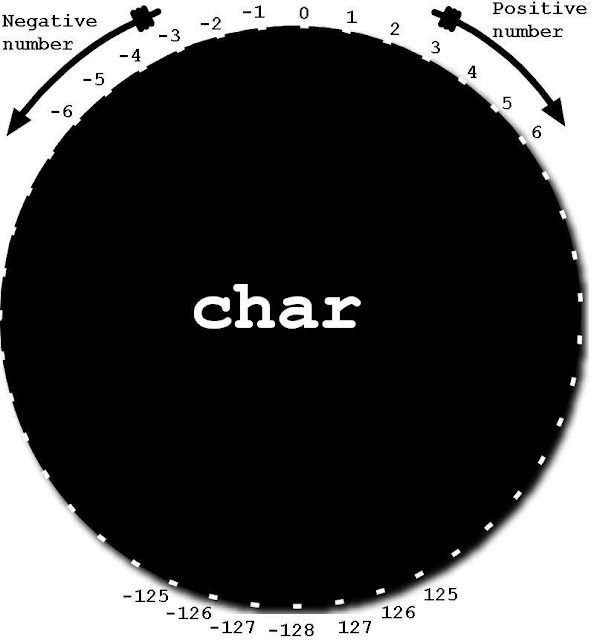 In the above figure value in circle represents ASCII value of corresponding character. if(*ptr++) is equivalent to : if(‘L’) is equivalent to: if(76) . It is true so in first iteration it will print +0. Due to ++ operation in second iteration ptr will point to character constant ‘e’ and so on. When ptr will point ‘\0’ i.e. null character .It will return its ASCII value i.e. 0. So if(0) is false. Hence else part will execute. In c comma is behaves as separator as well as operator.In the above expression comma is behaving as operator.Comma operator enjoy lest precedence in precedence table andits associatively is left to right. So first of all left most comma operator will perform operation then right most comma will operator in the above expression. As we know in c zero represents false and any non-zero number represents true. Hence else part will execute. If you have any queries or suggestions on above If else or control flow question please suggest us. thanks for these collection . very nice collection and really very helpful..
What's the meaning of if(a,b,x,y) ? this is very helpful. you have a good job. i wanna to appreciate for the owner of this site, this cqestions bank help to know the mystery of the c programming. even the beginner program learner , they can be easily understand.